The AMETEK PDS engineering team is known for its impressive track record of designing, developing and qualifying Rotary Actuators used in various Aerospace and Defense applications - Business, Commercial and Military jets, Helicopters and UAV's. 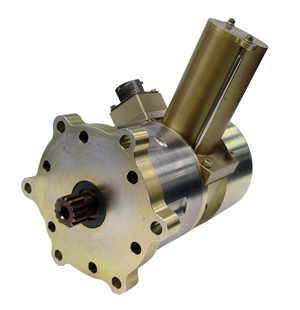 Our durable Rotary Actuators consist of permanent magnet stepper or DC Brushless motor designs. Each actuator design can be customized to include position feedback using potentiometers and micro switches allowing for use in a variety of applications, including flight controls, cabin and cargo doors, fuel valves, cargo locks, aileron trim and winch / hoists. Rotary torque up to 600 ft-lbs.